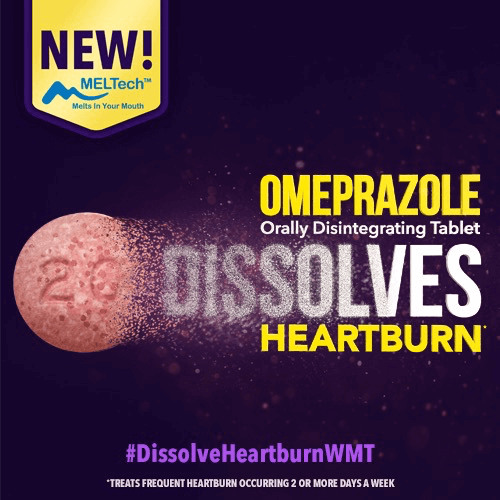 A Brand NEW Innovation for Treating Heartburn Is Now Available at Walmart – Only $0.35 Per Dose! 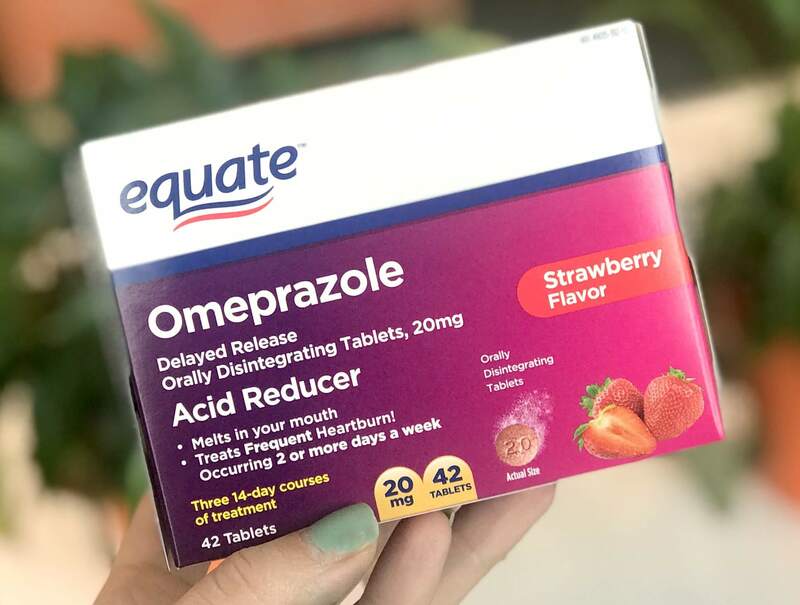 Walmart shoppers, have you tried the new Equate Omeprazole Orally Disintegrating Tablets yet (also referred to as Omeprazole ODT)? If you suffer from heartburn, this product is for you! 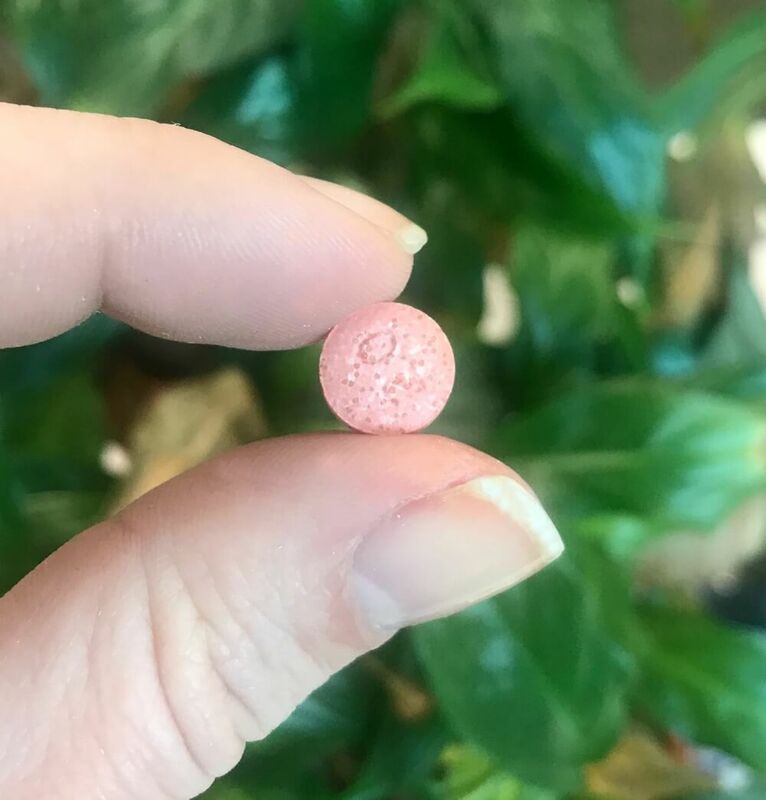 This is a brand NEW innovation in Omeprazole. This offer caught my eye because ever since I got pregnant with my first child I’ve struggled with regular heartburn. Unfortunately it didn’t end when the pregnancy ended. Because of this I’ve spent the last six years trying out different heartburn and acid reducer over-the-counter treatments. 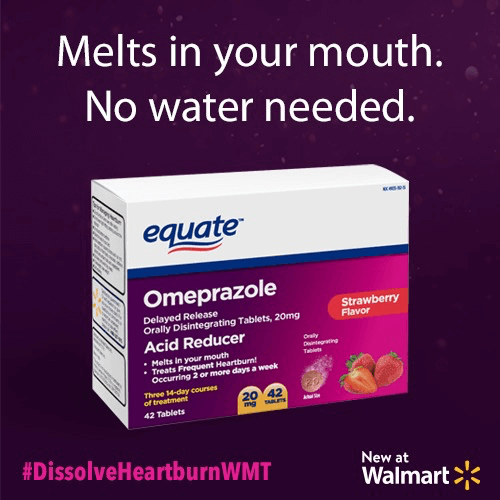 I love that I can get this new product at Walmart while I’m shopping for my other household needs, but my favorite aspect of Equate Omeprazole ODT is the convenience of a dissolving tablet that provides lasting heartburn relief. No glass of water needed; I can take it with me on the go which is a huge perk when you’re a busy mom of three kiddos! And it has a great strawberry flavor, too. 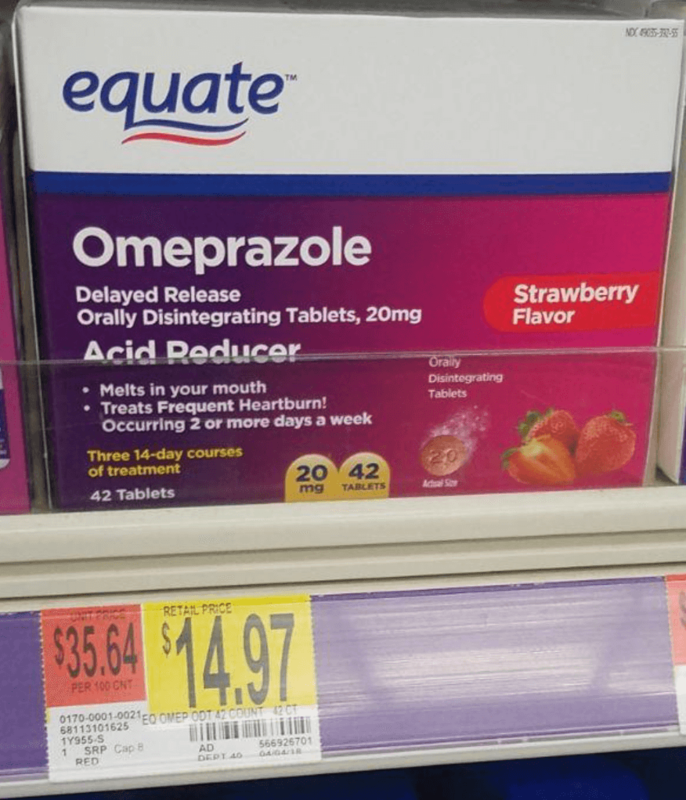 Even though we don’t have any current coupons available for this product, Walmart sells the 42-count box for just $14.97 so that’s only $0.35 per dose. My pockets and my tummy are happy! Use as directed by taking one dose every 24 hours for 14 days to treat frequent heartburn (occurring 2 or more days a week). May take 1-4 days for full effect, ODT is not intended for immediate relief. Do not take for more than 14 days, or more often than every four months, unless directed by your doctor.